We’re pleased to provide you with some of the latest Prostate Cancer News You Can Use. Titles of the articles are listed below along with a link to the Us TOO web page that provides access to the full text of each article. If you missed the recent webinar on The Metastatic Prostate Cancer Project, check out the recorded video of the presentation led by Dr. Eliezer Van Allen, the project's Principal Investigator. This project takes a new and different approach to speed up cancer research by asking men, who are managing metastatic and/or advanced prostate cancer, to share their samples and clinical information. Learn more about the project at: www.MPCproject.org . A FREE educational webinar on androgen deprivation therapy (ADT) is available to prostate cancer patients and their partners who are on, or about to start, ADT. This 90-minute interactive webinar is professionally facilitated and is scheduled for April 26th at 3:00 pm PT. Space is limited. Get more information and register at: LifeOnADT.com. If you’re a prostate cancer survivor and interested in helping to advance the progress of prostate cancer research to help conquer the disease, consider volunteering as a consumer reviewer with the Prostate Cancer Research Program (PCRP) of the Department of Defense (DoD) Congressionally Directed Medical Research Programs (CDMRP). Please CLICK HERE to complete the PCRP e-nomination form and submit it by May 15 th, if possible. (Note that the online form must be saved to your computer and the document must be submitted as an email attachment.) For more information about the DoD CDMRP program CLICK HERE. The Cancer Support Community (CSC) is developing a new resource to address what matters most to people with cancer. Please consider participating in their survey if you’ve been diagnosed with cancer and are at least 18 years old. For more information email Shauna McManus or call 267-295-3002. You may also be interested in downloading a new app for your mobile device. LivingWith is a free app designed to help manage life with cancer by connecting with loved ones, asking for help, improving communication with doctors, and staying organized - all in one place. Triage Cancer is a nonprofit that’s developed a series of FREE conferences for survivors of all types of cancer, caregivers, advocates, and oncology health care professionals. They’re hosting an event in Ypsilanti, MI , on May 5 th . On Monday, April 16th, at 3:00 pm Central Time, the Dr. Phil television show on CBS will feature an interview with blues musician Buddy Guy to raise awareness of PCa Blue and prostate cancer , which took the life of Buddy's brother, Phil. Check your local listings. 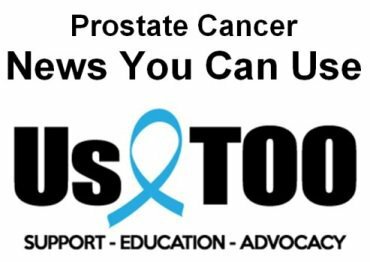 A recorded video from the interview will be shown at Buddy Guy's Legends in Chicago on Tuesday, April 17th, at 5:30 pm CT.
Get in formation on multiple prostate cancer educational and awareness event opportunities on the Us TOO calendar of events web page. Take care, enjoy the springtime weather and watch for the May 2018 issue of the Us TOO Hot SHEET newsletter at the end of the month. Let us know how we can help provide you with prostate cancer educational resources, support services and personal connections to others in the prostate cancer community.